Moussaoui Or That Guy From Hooty And The Blowfish? 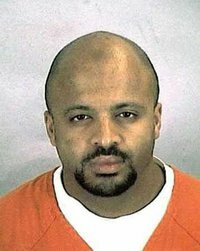 Zacarias Moussaoui belongs in jail. I wouldn’t want to know him. I wouldn’t want anyone I know to know him. I wouldn’t even want to be in the same country as him. And today, jurors gave him life imprisonment for his role in the 9/11 attacks. But there are aspects of his story that leave me a tad uncomfortable. In a system where, more than a few times it seems, rapists and murderers get off with a few years in prison or –worse yet– community service, it’s interesting that a man who has not actually directly killed anyone gets life imprisonment, and indeed almost got the death penalty. More to the point, much has been said of how this trial represents a critical test of whether the USA can deal with terrorism with the supposed objective and fair methods of its justice system; i.e., will Moussaoui get a fair trial? And the Americans must be commended for making that effort. Indeed, I will go further to say that the entire prosecution of the so-called “war on terror” should be one directed by the justice system and not by the Pentagon. Al Qaeda-style terrorism is the action of an international criminal conspiracy, and the extent to which actual states are involved is, in my opinion, exaggerated beyond the point at which military action is necessitated. In other words, let the FBI and Interpol, not the military, run the show. Give everyone in Guantamo a lawyer and a trial date. Moussaoui’s case shows that this is possible. But I am nonetheless dismayed that Moussaoui seems to have been tried more on emotion than on facts; more on rhetoric than reason –which increasingly is becoming the theme for our time. Jurors were presented with many disturbing images of the sites, post-attack — images that were deemed to gruesome for public disclosure. What relevance are these if not to incite a vengeful response? And what the heck was Giuliani doing testifying at the trial? Nevertheless, at least a trial was held. Now let’s offer the same to all those illegally held prisoners in Guantanamo. The way I see it, there is no logical or legal rationale for holding them in military prisons and trying them in military tribunals. Give them lawyers and civil trial dates. And, of course, brace for the litany of civil suits that will come raining down once all the rights violations become known.